Like a young child, I like to know. I like to actually see a close friends office, hear the voice of a baby and feel the fur of a new pet. When it comes to reading, I’m no different and relish reading the dedications and introductions to books. So it will go without saying that I’d like to give a more personal introduction to Dr. Natalie R. Wilson Eastman. Natalie and I met online through Redbud Writers Guild over a year ago. Her encouraging heart beamed through the Redbud’s private Facebook feed. Taking time to read, comment, give cheers or commit to prayers, Natalie shows-up. I had already read a chunk of her book when we both showed-up at the Redbud Writers Retreat this past March. Meeting in person was like a Facebook feed come to life. Don’t you just love that? When you meet someone in real life after having a media based relationship and they’re the same! Reading Natalie’s book was just as energetic and thoughtful as every interaction I’ve had with her and her formal credentials are impressive! DR. NATALIE R. WILSON EASTMAN (M.Div. ‘02, D.Min. ’05–Gordon-Conwell Theological Seminary) is a freelance writer, editor, and member of the Redbud Writers Guild. 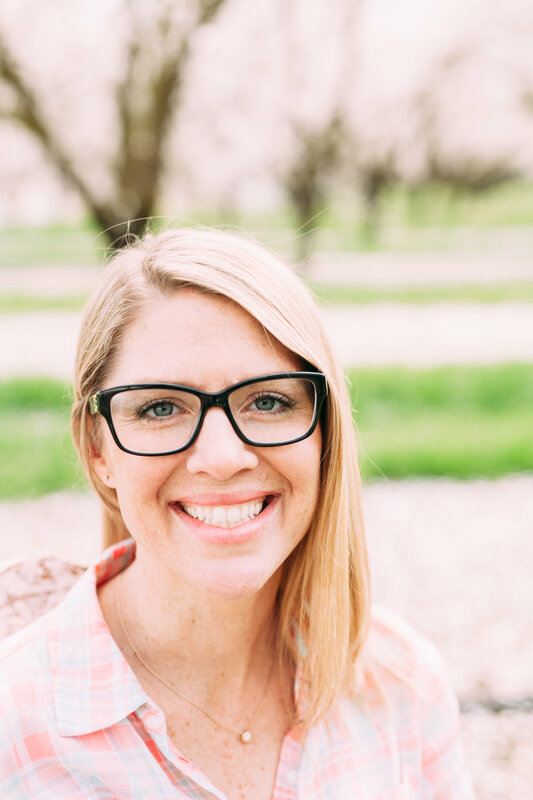 She has served as a full-time youth minister to girls and women; Bible study teacher; worship leader and team developer; missionary to east Asia; and retreat and event teacher/speaker. She lives in Delaware, OH, with her husband and three young children. Links to her blogs may be found at natalieeastman.com, and her training and coaching at biblicalbreakthrough.com. Q: Natalie, what benefits does Women, Leadership, and the Bible provide to women? Engages women with the Bible. Encourages women toward further biblical and theological development. Develops women as critical thinkers, so they can embrace their faith and service with groundedness and confidence. Urges independent thought within the context of Christian community, with unity being the ultimate goal. Equips women with seminary-level hermeneutical skills and tools on an introductory level and, hopefully, whets their appetites (or satisfies one!) for further and deeper biblical studies. Teaches women to recognize and face internal and external influences that impact their faith and practice. Encourages grace-filled dialogue and study about this and other “controversial” issues within a safe space. Provides a “virtual community” for women who really want to “get to the bottom of things,” biblically speaking. Do I Know What to Believe? A: The term “empowerment,” it seems to me, is vastly overused these days. engage and effectively apply God’s Word with theological reliability and biblical skill. interpreting; and what to do with the many conflicting opinions and interpretations. It can be done. sensitive to and filled with God’s very presence throughout the process. Q: What makes it different from other books on women’s issues? If you stopped by yesterday and read my review of Women, Leadership and the Bible, you know I promised to giveaway a copy of Natalie’s book! Click here for Women, Leadership and the Bible Giveaway! Entries will be accepted until July 14th at midnight! The winner will be announced July 15th! Hi Julie–I’m a new member of Redbud, so I’ve seen some of the buzz about Natalie’s book, but I didn’t know anything about it. Thanks for writing about it here. Now I want a copy! To be honest, I wish I’d had a copy this spring when I was preparing to preach on Genesis 3! I’m sure Natalie appreciates your publishing this interview, and i appreciate being introduced to the book. I hope to meet both of y’all some day!